Know Whether Mexican Actress Sara Ramirez is Still Married To Her Husband Ryan Debolt! Home Article After Coming Out As Bisexual in 2016, Fans Are Curious To Know Whether Sara Ramirez is Still Married To Her Husband Ryan Debolt: Get All The Details About Them Right Here! 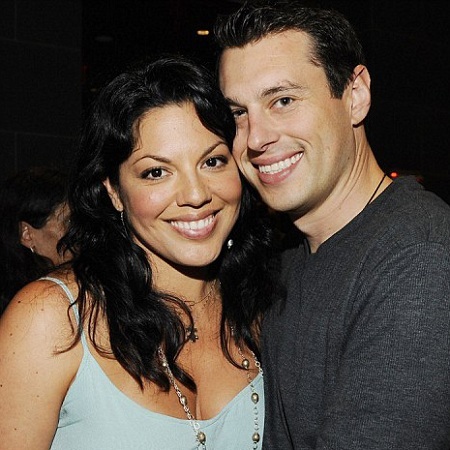 After Coming Out As Bisexual in 2016, Fans Are Curious To Know Whether Sara Ramirez is Still Married To Her Husband Ryan Debolt: Get All The Details About Them Right Here! As many other popular celebs, gorgeous Mexican American actress Sara Ramirez is living happily with husband Ryan Debolt after getting married in 2012. She's a Juilliard graduate and her outstanding role as Dr. Callie Torres on ABC's long-running medical drama series, Grey's Anatomy has hiked her fame to the international level. By now you all have guessed who she is. She is the gorgeous Mexican American actress Sara Ramirez. The 43-year-old evergreen actress is living happily with her husband Ryan Debolt after getting married in 2012. The starlet shocked us all when she came out as a bisexual back in October 2016. After the shocking revelation, we all have one question buzzing in our mind; is Sara and her husband still together, living a blissful married life? It's time to find out! Sara Ramirez, Sofia the First star tied the knot to Ryan Debolt in an intimate ceremony in New York attended by 'close family and friends' on 4th July 2012. The good-looking pair got engaged a year earlier in 2011 during a vacation in Paris. The Los Angeles-based business analyst went on his knees beside a fountain when he popped the question. The pair revealed that they first met at an "after-after" party back in 2010. Well, the two have spent five whole years together and with no doubt, they are living as happily as a newlywed couple. It seems that the couple doesn't have any plans for a child yet. But we are hoping that they might welcome a junior Ramirez or junior Ryan soon. Ramirez husband, Ryan currently works at TIMEC Company Inc., in California. 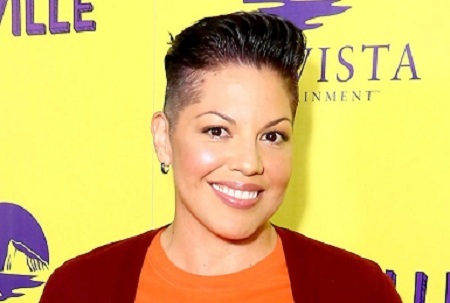 Sara Ramirez Came Out as Bisexual; Has It Made Any Difference in His Personal Life? The 43-year-old actress who played the role of a lesbian on the hit show Grey's Anatomy came out as a bisexual back in 2016. The actress revealed that she's a bisexual while giving a speech at the True Colors Fund's 40 to None Summit in Los Angeles in October 2016. She took Twitter to confirm the news. "So many of our youth experiencing homelessness are youth whose lives touch on many intersections – whether they be gender identity, gender expression, race, class, sexual orientation, religion, citizenship status." "Because of the intersections that exist in my own life: Woman, multi-racial woman, woman of color, queer, bisexual, Mexican-Irish American, immigrant, and raised by families heavily rooted in Catholicism on both my Mexican & Irish sides," she continued, "I am deeply invested in projects that allow our youth’s voices to be heard, and that support our youth in owning their own complex narratives so that we can show up for them in the ways they need us to." Meanwhile, fans immediately reacted to the actress for her bravery. Thank you for sharing your truth. As a lesbian latina woman it's inspiring to have you as an advocate and idol. Proud! ???‍?????? By being your authentic self, you give others the room and courage to do so as well. Thank you. Yes! we shouldn't miss a chance to praise her courage. Not only this, she donated her most of the hair to an organization, named "Locks of Love" that makes hair wigs for children suffering from cancer. We are sure that despite coming as a bisexual, the couple has no issues in their romantic family life. There are no controversies or revelation about the couple's divorce or split so we can simply assume that they are still dedicated to their relationship no matter what goes the next. Born on 31 August 1975 in Mazatlán, Sinaloa, Mexico. Her mother belongs to Irish-American and Mexican descent and her father is Mexican. She lived with her mother when her parents separated when she was just 8. Attended San Diego School of Creative and Performing Arts. Later, graduated with a degree in Bachelors of Fine Arts. In 2005, she won the Tony Award for Best Featured Actress in a Musical. She fell into severe depression following the death of her best friend in 2009. Received wide recognition for her role in ABC's long-running medical drama Grey's Anatomy alongside Chandra Wilson, Isaiah Washington, Patrick Dempsey, and Kate Walsh. She has an estimated net worth of about $5 million at present. Stands at a height of 5.74 feet (1.75m).